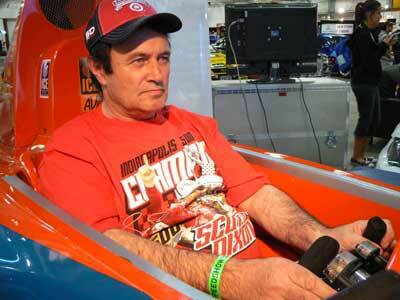 Simdeck PET250 simulator race car brings Scott Dixon’s winning Indy 500 car alive. 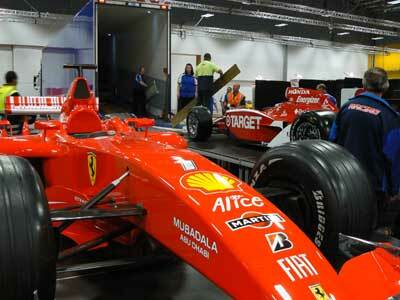 SimDeck brings the Scott Dixon car alive. The SimDeck PET250 simulator recreated the virtual version of the Scott Dixon car and bought it to life on the Orchard Lake circuit. The simulator created a real buzz amongst those who took on the mantle of Scott Dixon in the virtual world as they endeavoured to maintain control and high speed. However Scott has nothing to worry about if he thought that his driver seat position in the Chip Gannasi Race Team was under challenge. The guests for the evening hosted by Honda were from Logistics company Jenner who had the priviledge of being entrusted with Scott's car to bring it from the USA and its return in a few days time. Kevin congratulates his silent half on a Show well done before heading over to Honda and to bring the Scott Dixon Indy 500 experience alive. In once in a life time opportunity the SimDeck PET250 open wheeler race car simulator is to be displayed in conjunction with the Honda powered Scott Dixon Indy 500 winning car. 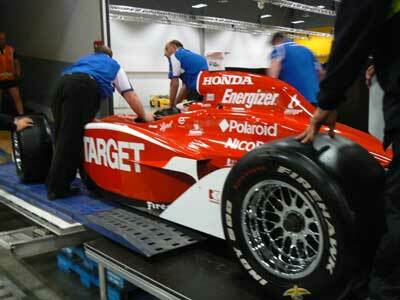 The Indy car was especially brought to NZ for the Auckland Speed Show and post show corporate promotions at the Newmarket Honda Dealership. 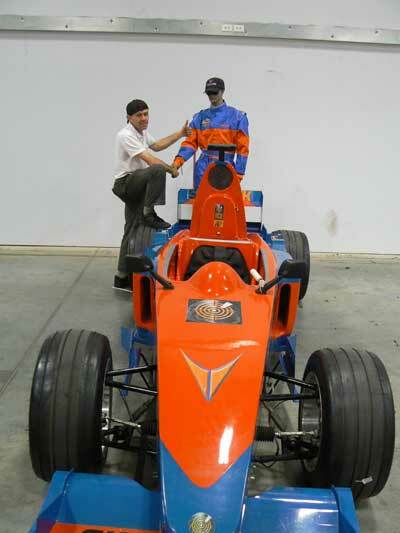 The chance to display alongside the Scott Dixon Indy car and then to bring it alive in the simulator with all the vibrations, noise and life size images is a unique chance that we are delighted to have accomplished. Return here for photos to appear here. The Simdeck Pet 250 simulator created a buzz amongst many visitors to the http://www.speedshow.co.nz expo here in Auckland last weekend. The event had many highlights, amongst those being meeting kiwi Scott Dixon the Indy Championship 2008 who made a flying visit to the show for about 4 hours. It was a delight to meet his Dad who confirmed that the show easily met international shows, howbeit on a smaller scale. We will be posting a photo report, plus updating this report when we have a moment. The opportunity to meet the man himself, exclusive autographs of his front page news, was cool part of the weekend.